Pure Greens Container Farms are fully assembled vertical hydroponic grow systems built in 40 ft. insulated shipping and storage containers. 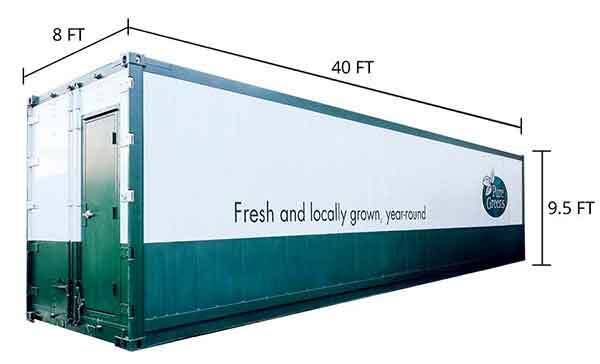 Pure Greens can customize our freight container farms to the user’s specifications. Each container farm comes with a user’s manual and a warranty for material and workmanship. Optional training is available at our location or yours! Pure Greens Container Farms allow the user to grow in all climates. Create a farm in an urban food desert, supplement conventional farming practices during an off-season or provide locally grown crops in a freezing climate. No need for pesticides. No need to worry about irregular weather patterns. Pure Greens Container Farms come equipped with a Recirculating Hydroponic System that provides for a very low water consumption rate. 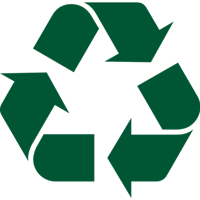 Our sustainability-based process uses reservoirs to trap transpired water molecules from the plants and recycle them back into the System. Future Container Farms will have optional roof-mounted Solar Panels for hot climate locations. Pure Greens Container Farms are equipped with high output, low energy consuming LED White Lights. The LED White Lights provide full spectrum lighting to the plants. LED lighting is sustainable compared to high output lighting due to its reduced energy consumption. Pure Greens Container Farms are built with an enclosed Entry Vestibule. The Vestibule acts as a sterilizer, climate barrier, air purifier and pest blocker. The Vestibule lessens all possibilities for contamination of the interior grow area. Pure Greens Container Farms include a Climate Control System that may be monitored and controlled by an App on your phone. The Control System controls the CO2, Water, PH, Water Levels, Fans, Lights and Thermostat. Depending upon the crop type and crop rotation, you may harvest and deliver crops on a daily basis. Pure Greens Container Farms come turn-key and ready to begin immediate production. Here are the basic requirements to start growing produce with your own Pure Greens Container Farm. Pure Greens Container Farms are portable and affordable. Will vary depending upon Lighting and HVAC Usage as well as exterior climate. $150 per month (approximately, depending on variety of crops grown). Approx. 350 to 450 lbs/month of herbs or leafy greens, depending upon the type of crop.